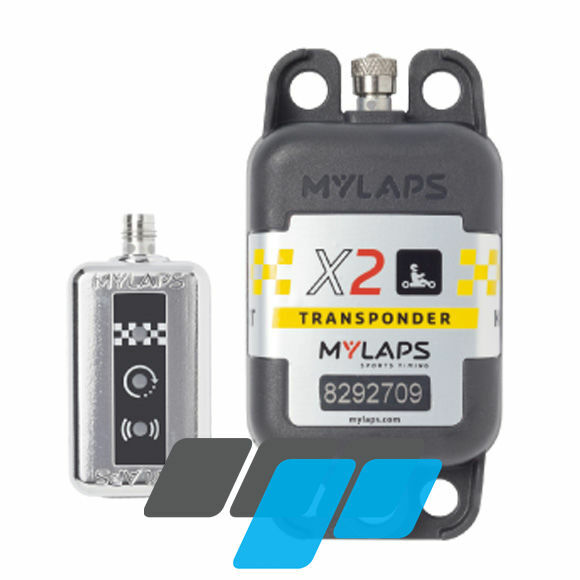 Mylaps X2 direct powered transponder suitable for competition kart racing, only available on subscription of 1, 2 and 5 years. The X2 Transponder comes as a rechargeable transponder, as standard. This kit includes the wiring loom to fit and forget. The Direct Power upgrade fits around the subscription key and lets you connect your transponder directly to your motorcycleâs battery. You no longer have to worry about charging: it's always there. Flexible subscriptions that suits your racing career best. Choose the subscription for your X2 Transponder available for 1, 2 or 5 years. Built for the future X2 brings a world of possibilities beyond timekeeping, with extensive insights in race data. What will the transponder be used for, what type of racing?